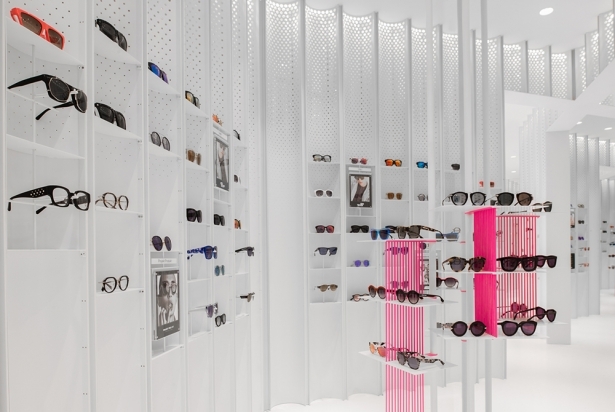 N3ON is a boutique sunglasses store offering a unique spatial retail experience. The concept for the space was inspired by ocular perception and the sense of sight perceived by the eye. Linehouse worked with the notions of the concave and convex, depth of field and perspective. 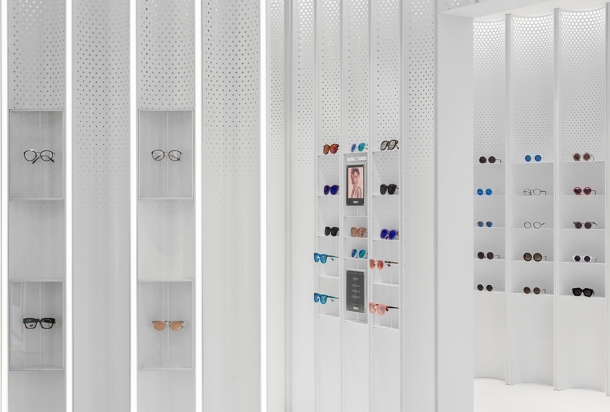 A series of double sided concave perforated white metal panels were inserted into the space. 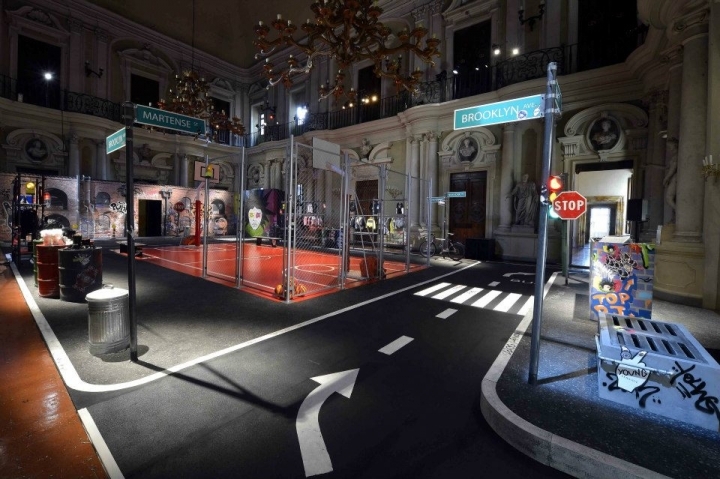 These were placed at intersecting angles to creates a forced perspective. The metal is perforated with a gradation of holes, which dissipate vertically. 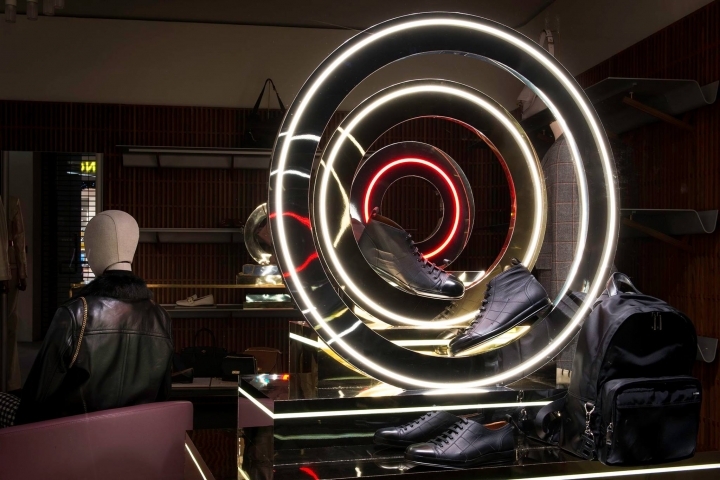 The focal point upon entering is the cashier, which is composed of a series of florescent lights set within a pink neon box covered with laser cut hot pink acrylic. Mirrors line the side walls between the concave planes, creating an infinite field of reflection. 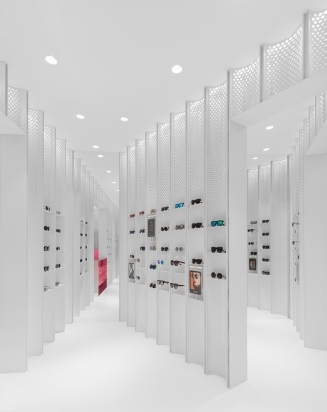 A series of adjustable fixtures are set in the concave panels, operating as a mechanism of display for the eyewear. 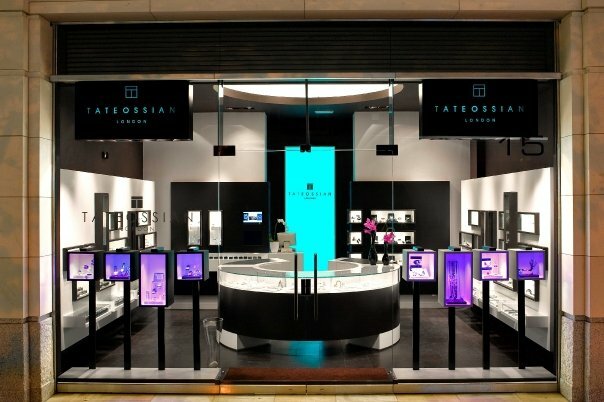 Displayed on thin white metal shelves, suspended on white metal rods, or encased in a glass box, they appear to float within the concave panels. Four freestanding fixtures are placed in front of the mirror panels. 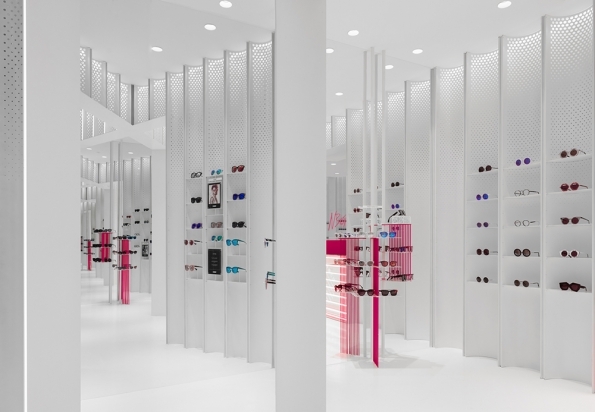 Thin white shelves are suspended between hot pink metal threaded rod, operating as platforms for the product to hover. 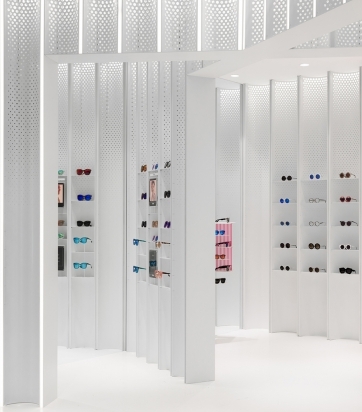 N3ON is a new retail concept of Coterie, independent eyewear and accessories store with over 20 stores in mainland China.